What uses most of the land and water without showing up in production? 70% of the land in Utah is public. And 70% of that land is handed out for grazing. Over 80% of the water used in Utah is for agriculture and most of that is to grow hay for livestock. That is a lot of land and water. 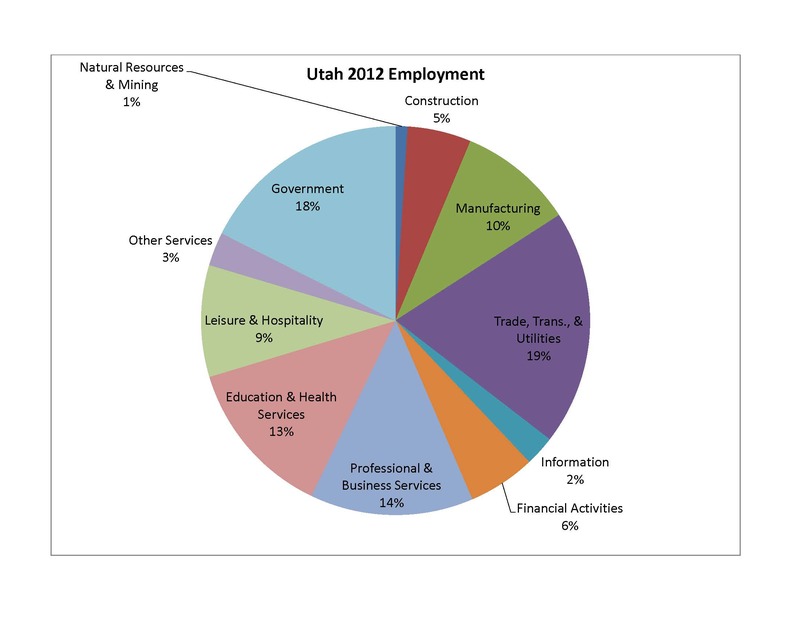 Open this chart on the left of the State of Utah Governor Gary R. Herbert Economic Report’s figures on employment by industry as a percent of total employment: Dec. 2011. Where’s agriculture? The subsidized use of all that land and water isn’t producing much, particularly jobs. This entry was posted in Conservation, Environment, Environmental Economics, Grazing, Public Lands, Water, Welfare Ranching on February 6, 2012 by Mark Bailey.